LAHORE: The country’s anti-polio campaign has been jolted as Lahore has reported its first polio case after two years. An eight-month-old boy from Shalamar Town is one of the cases confirmed with Wild Polio Virus-1 in laboratory reports released by the National Institute of Health (NIH), Islamabad, on Thursday. The case was reported in the union council number 22 of Shalamar. According to an initial investigation, the child was not administered polio drops after his birth and during polio drives held in the city. Senior officials at the health department alleged that newly reported polio case in Lahore was the result of mismanagement of the department. They fear new cases are likely to surface in the future because of the ineffective campaigns. The official added that the health programmes in Punjab were ignored by the government and there were corruption and mismanagement in all programmes where foreign funding is involved. However, the situation regarding polio is serious now in Pakistan as another case of polio was also reported in Hangu in Khyber-Pakhtunkhwa, he said. 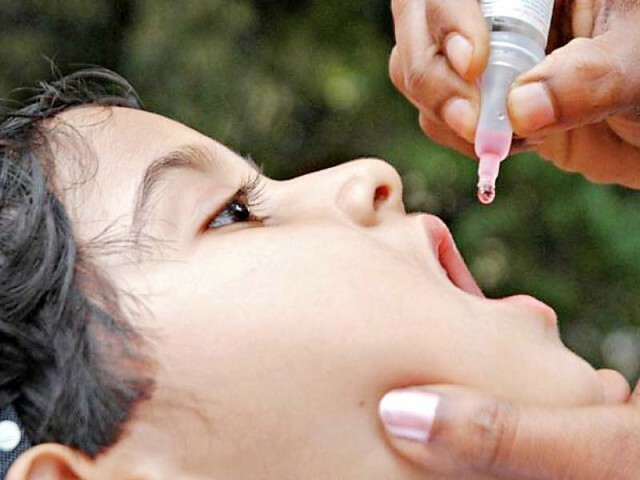 The Punjab health department has directed all districts health officers to make all arrangements for a polio campaign starting from February 18 in three districts of the province. Punjab Health Director General Dr Munir Ahmad said around 3 million children will be administered polio drops in Lahore, Faisalabad, and Rawalpindi. Published in The Express Tribune, February 16th, 2019.